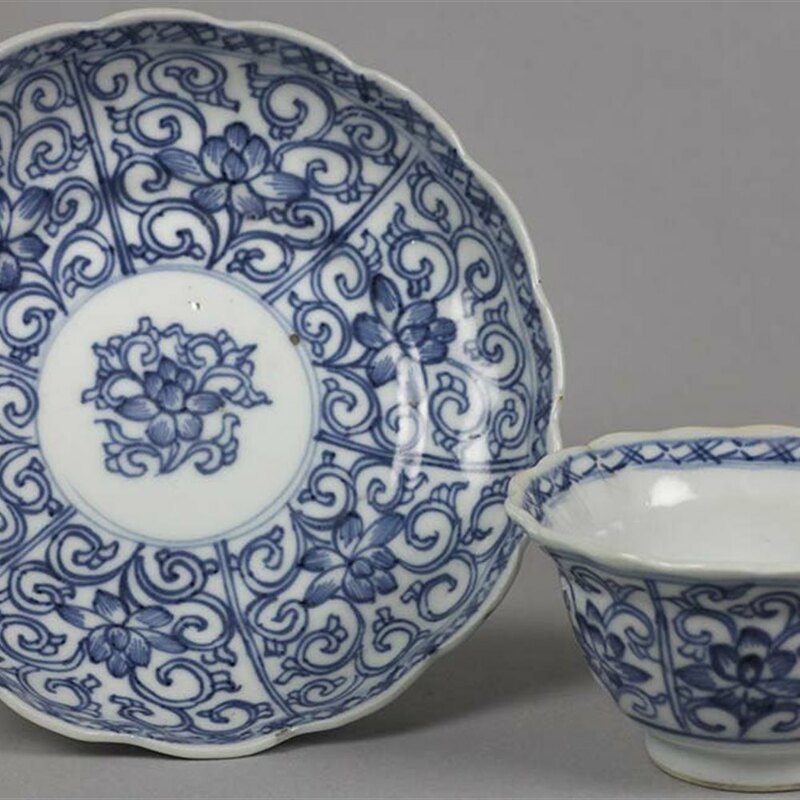 We offer this stylish antique Chinese porcelain tea bowl and saucer of fluted design finely hand painted with floral and scrollwork designs dating from the Kangxi reign 1662-1722. The tea bowl is of rounded shape standing on a narrow rounded foot and has a moulded fluted rim. The tea bowl is painted with six repeat pattern panels each painted containing a single flower set against a scroll work design. A similar design is painted to the inside of the bowl within a simple line border. The saucer is similarly decorated and both pieces are very well decorated. Both have an underglaze blue four character mark to the base painted within a double lined box within a double blue circle.